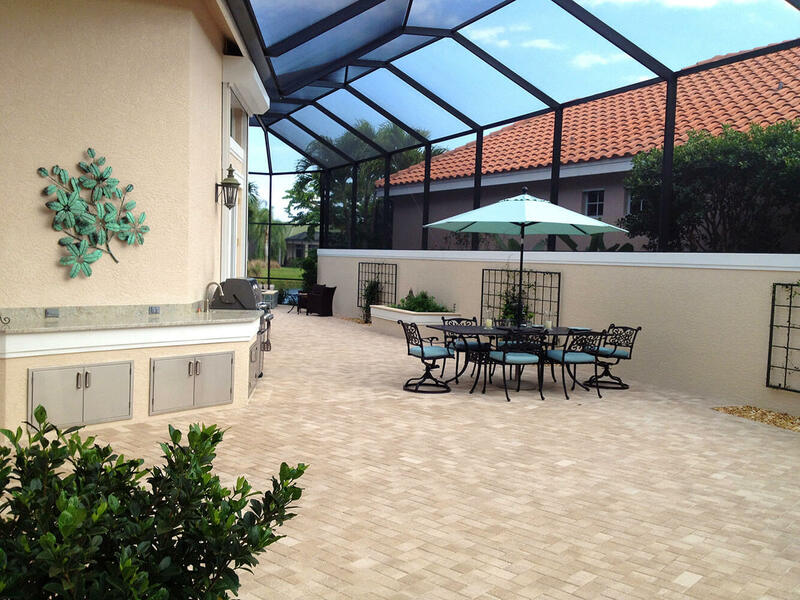 Want to entertain friends and family upon an amazing new patio? 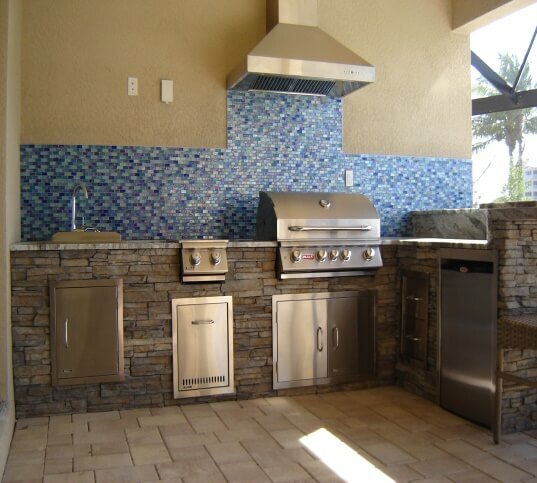 Need some inspiration for an outdoor kitchen? 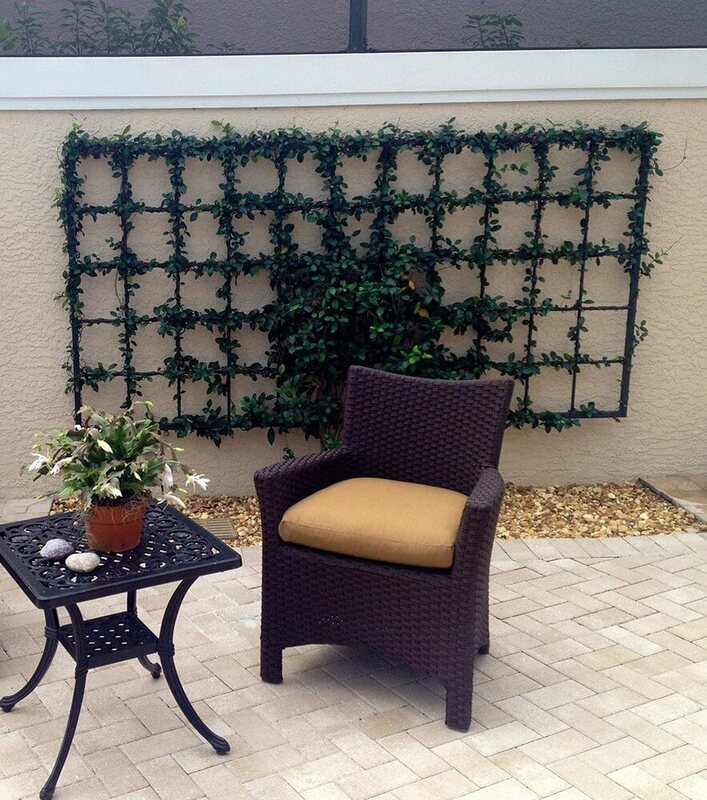 Searching for designs, photos, and ideas to help you create the perfect outdoor environment? With so many choices on the market today, it’s easy to get analysis paralysis when trying to build an outdoor living area that’s not only attractive but cost effective. The good news is it can be done and we can help! 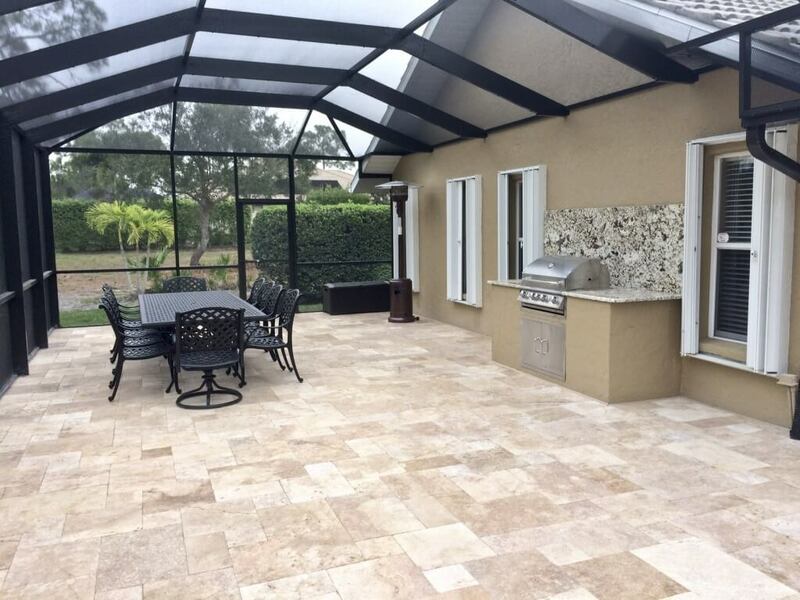 You may have seen a neighbor’s outdoor kitchen and patio and thought to yourself “Wow! That would look great on my property!” Or maybe you saw a hardscape on Houzz that you imagined yourself living in. You begin searching local stores in Southwest Florida for the exact same design but nothing you’ve found is an exact match. Frustrating isn’t it? Then you ask for prices and they’re not quite what you had in mind. 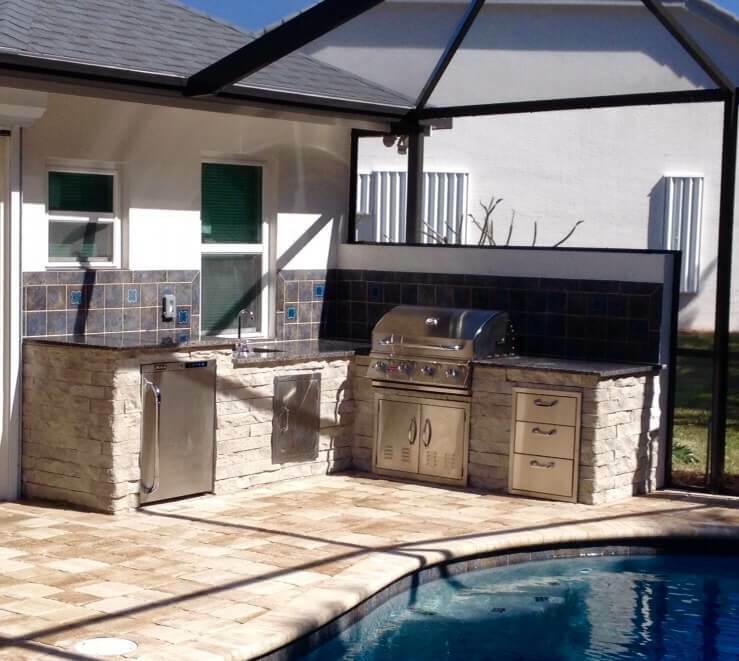 You begin thinking “Maybe I can do it myself.” This is usually where analysis paralysis sets in because if you’re not sure how to install a patio & outdoor kitchen, it could prove to be a costly mistake. 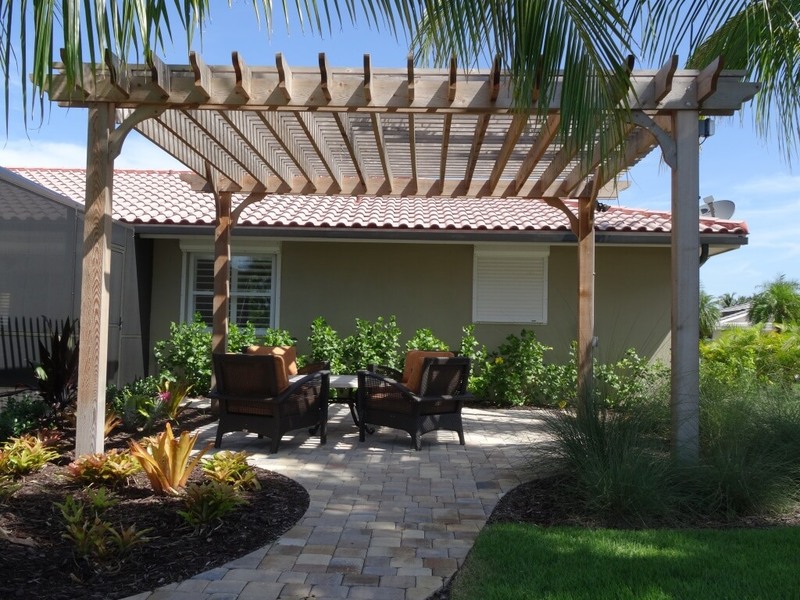 Wouldn’t it be so much easier investing in a trustworthy patio contractor? 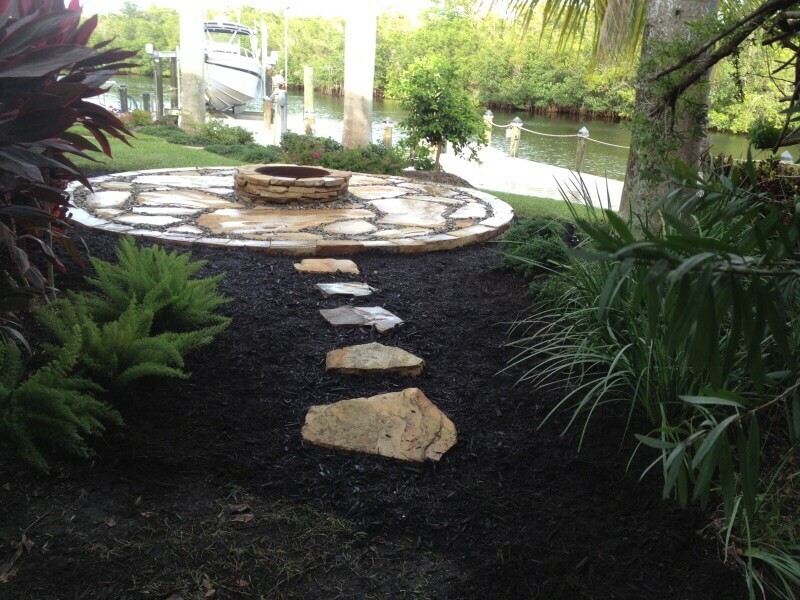 At Lombardo Landscaping & Water Features, we are here to serve you. 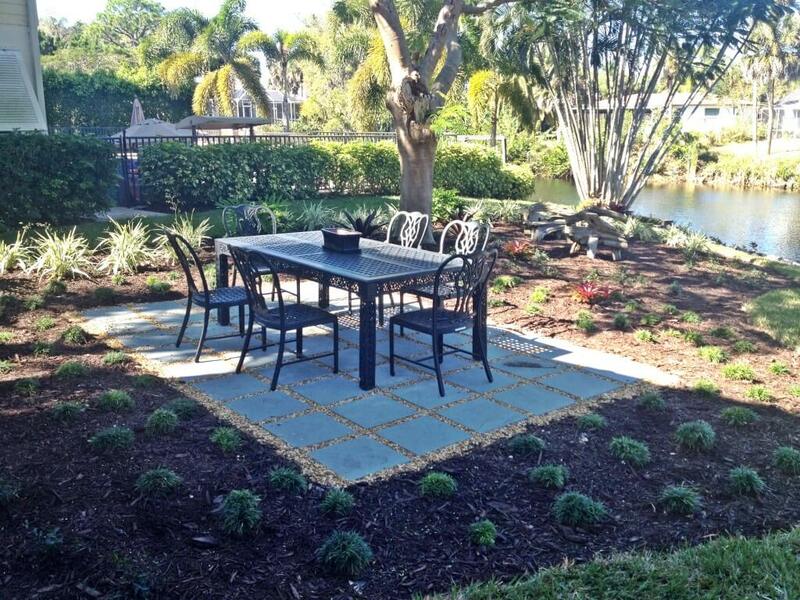 We’ve helped hundreds of residents and businesses in Bonita Springs, Naples, and Fort Myers, FL realize the true potential of their outdoor spaces and we look forward to transforming yours as well. Just for a moment, imagine that it’s Thanksgiving night. This time of year the weather is perfect! Not too hot, not too humid. 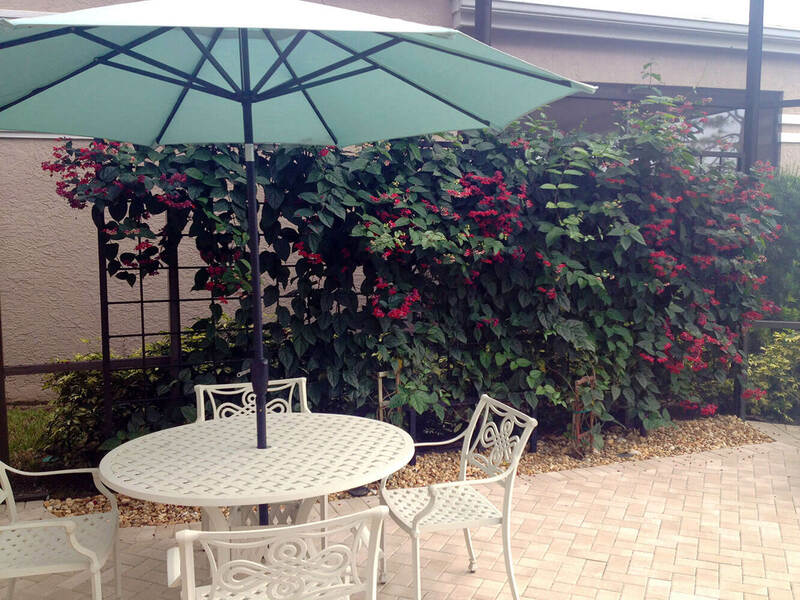 You’re relaxing on your new patio with the entire family enjoying the game and each others company. While the turkey and stuffing are baking inside, the aroma of apple pie fills the outdoor air as it bakes in the oven of your new outdoor kitchen. Later, dinner is served, dishes are passed around the table, appetites are satiated. After savoring that delicious apple pie, you all gather around the fire pit to warm up a little. The smell of wood burning and marshmallows roasting permeates the air. Someone breaks out an acoustic guitar to sing a few melodies. Fully explaining our products, making sure that they’re in alignment with your vision and budget. 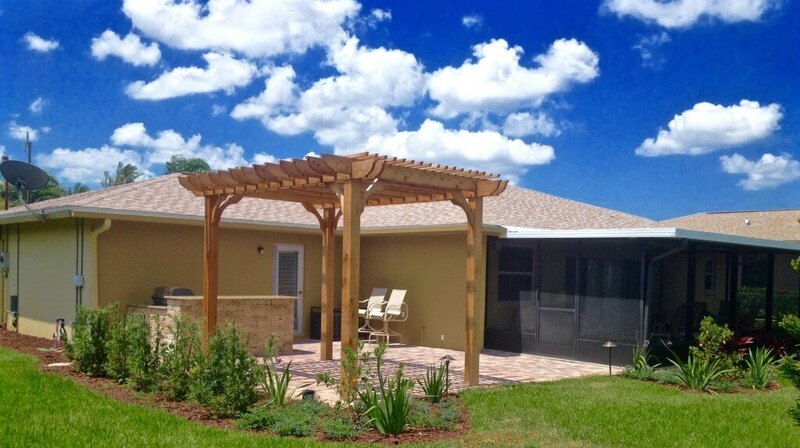 Taking care of the entire construction/remodeling process; including moving patio furniture and cleaning up after ourselves every day so you can utilize the space. Giving you the opportunity to sign off as we walk through your completed hardscape together. 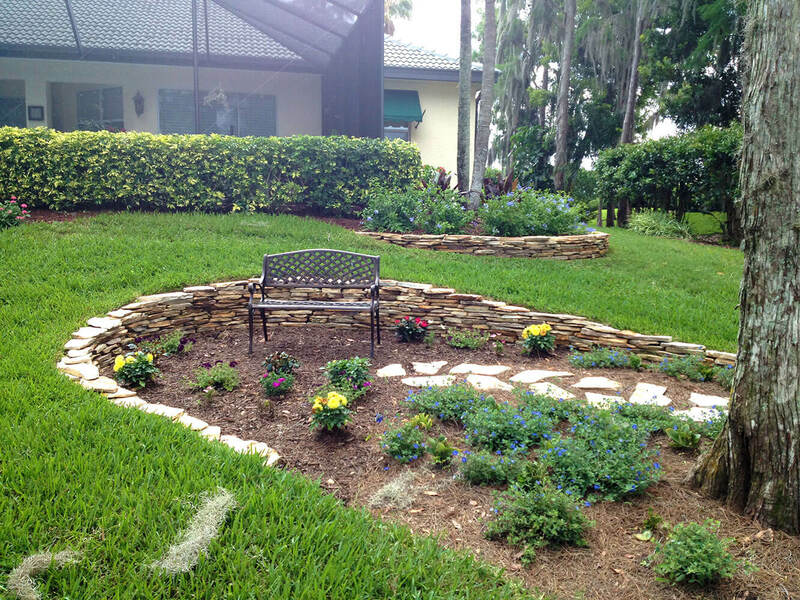 We’re not your typical “cookie cutter” landscaping company. If you’re looking for a custom design that speaks volumes about your good taste, then we’re a great fit! 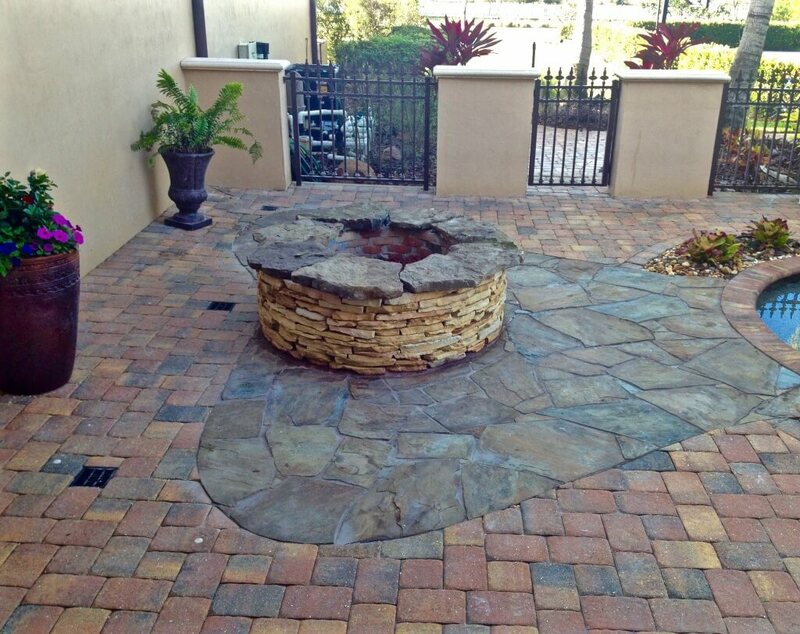 For example if you want special medallions or unique lighting to accentuate your hardscape, we’ll go to great lengths to accommodate your vision. 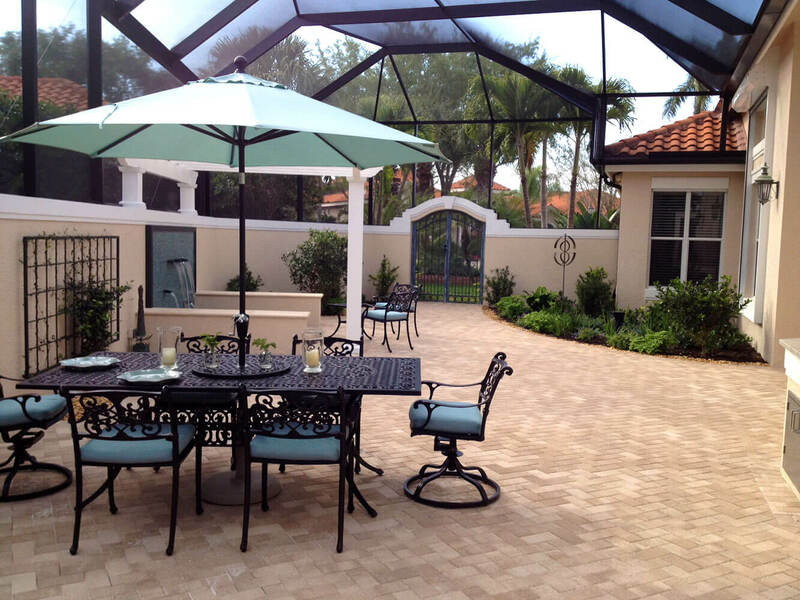 Over the years pavers have become the #1 choice of professional landscapers across the United States for building patios, walkways, and driveways because unlike concrete slab, pavers rarely crack and they allow for shifting. However if they do crack, it’s easy to repair or replace. In addition, pavers last longer than concrete slab. The most common type we install are concrete pavers because our customers are familiar with them, they’re fairly inexpensive, and they look good. 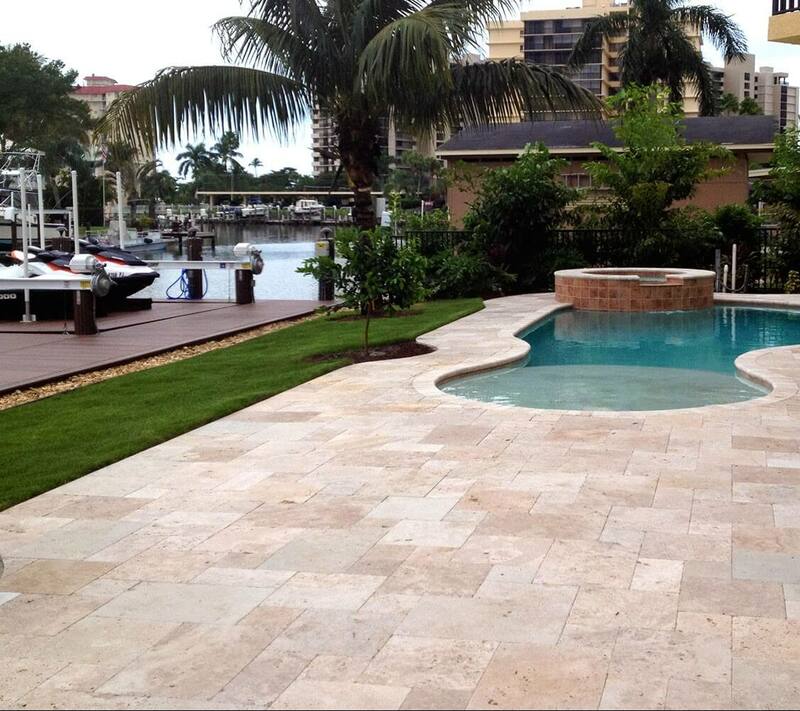 We also install each of the pavers listed above, Pennsylvania Blue Flagstone topping the high-end market. 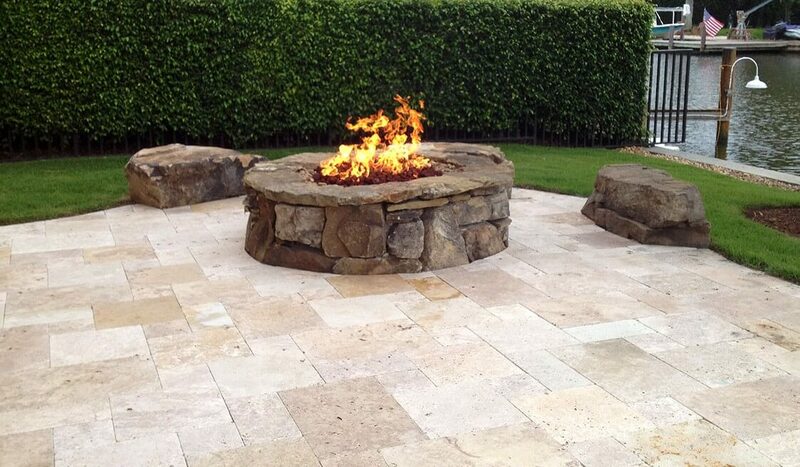 We select only the highest quality pavers from manufacturers like Tremron and Tricircle so that you get the look you want and peace of mind knowing that it will withstand the elements. After all, doesn’t your family deserve the best? Q. Are there different qualities in pavers? A. Yes, different manufactures make their pavers more dense (or compressed) than others which makes them last longer and less likely to crack or get moldy. Q. Do I have to seal pavers? A. You don’t have to but it definitely lengthens the life of the paver and does protect them. Q. 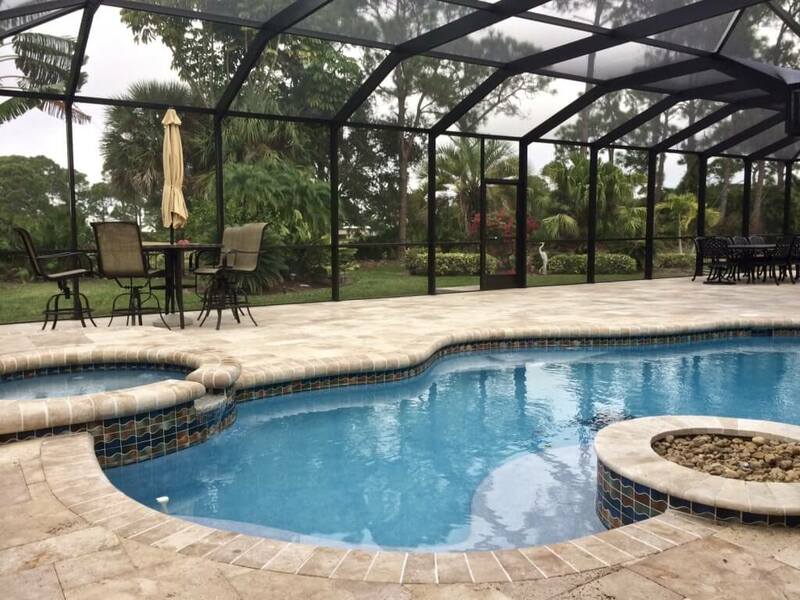 Can you overlay pavers on top of an existing concrete pool deck? A. Yes we can. There are special remodel pavers especially made for this and for the coping around the edge of the pool. Q. Can you lay pavers over top of an existing driveway? A. We don’t recommend it with thin (1 inch) remodel pavers but it can be done if you choose to with full thickness (2-3/8 in) pavers. DO seal your pavers or hire someone to do it. DON’T do it on your own unless you’re experienced. DO pressure wash your pavers at least once a year. DON’T hire a company based on the cheapest price. Always compare products. 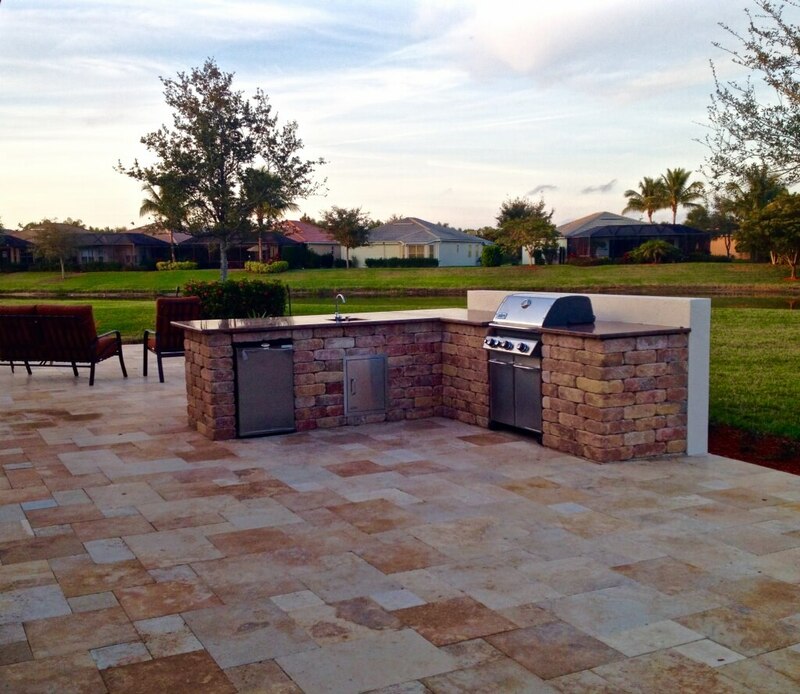 DON’T surprise your spouse with a new outdoor kitchen. Instead, DO get their input so that you both can agree on what you’d like. DON’T think that outdoor kitchens are impervious to the elements. DO opt for paver sealing to help protect your investment and replace components as necessary especially when close to salt water. 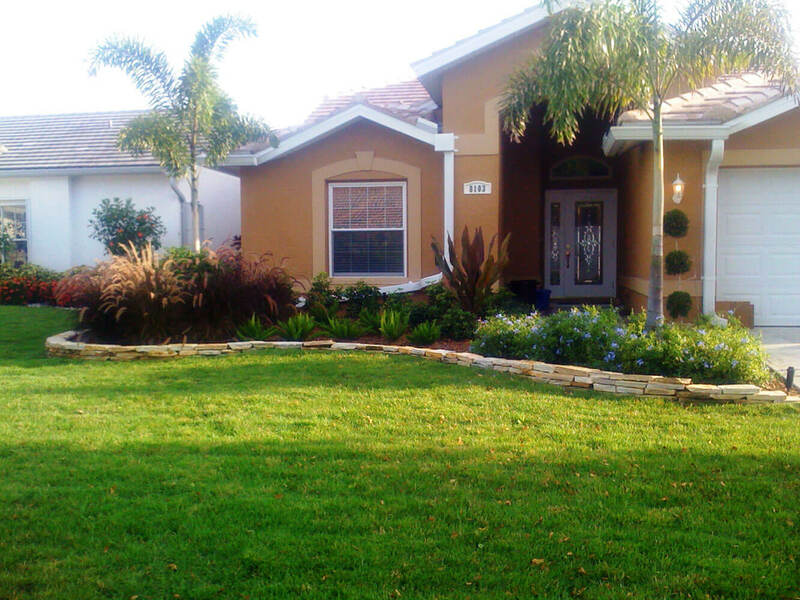 This is not a service we provide however we can help you find a reputable contractor. Ready to live the dream? We’re ready when you are! Contact us for an onsite consultation.